Results are what makes our collective hearts pump. They’re what make us jump out of bed in the morning. And Results are why our customers love us. 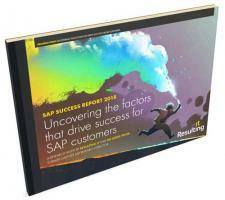 Resulting is a different kind of SAP consultancy. So we tend to look for a different kind of SAP consultant. Sure, you need experience. But you also need to be able to work business-side, with the customer’s best interest at heart. And you need to be more focused on achieving customer outcomes than your peers are. If you don’t know what we mean by this, you’re probably not our kind of person. If you can tick this important box - and you have skills in the following areas, then we’ll run through walls to talk to you. If this sounds like you, or if you’ve got any other SAP skills, complete the form and we'll be in touch.